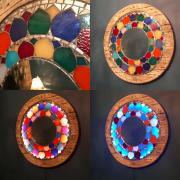 Click on the images to view video of our Illuminated mosaics.. 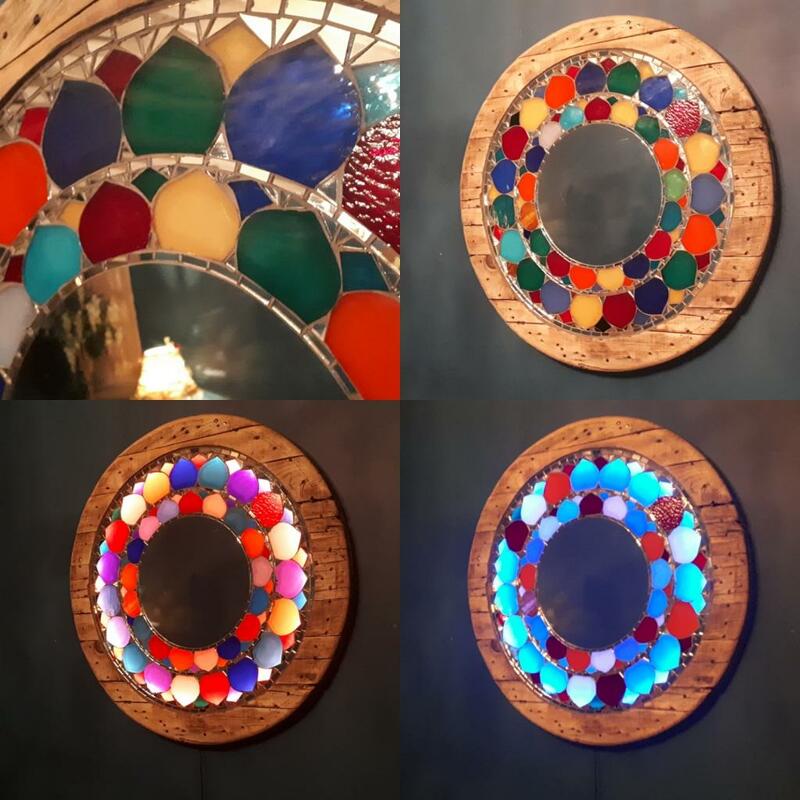 This recycled cable reel wood framed mirror has an illuminated border of colourful petals and it looks equally lovely Not switched on too. The bottom two photos show it when it's going through its colour changing sequence sequence that is operated via s remote control. This is my favourite mosaic to date. 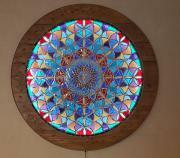 It is a commission for Divine Light, a healing centre in Newcastle Upon Tyne. 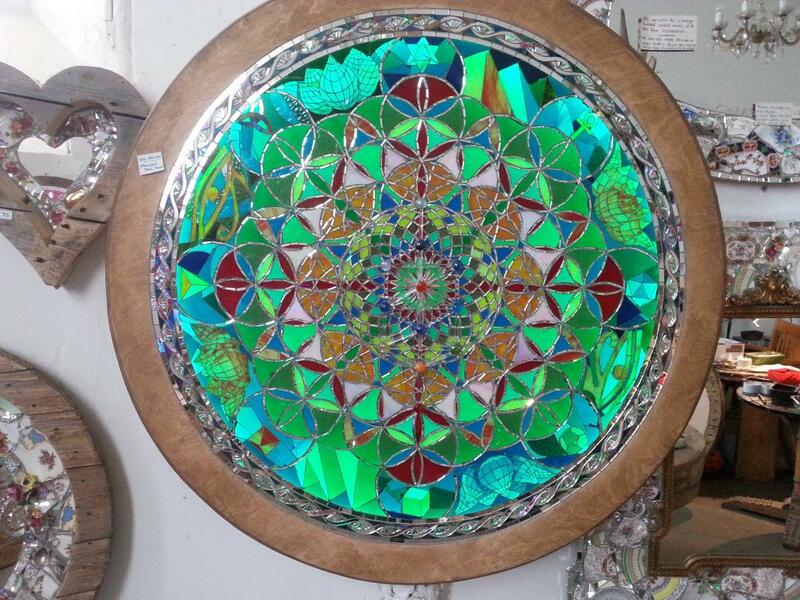 The central design has the Tree of Life eminating from the centre of a 4 way division of the Flower of Life. 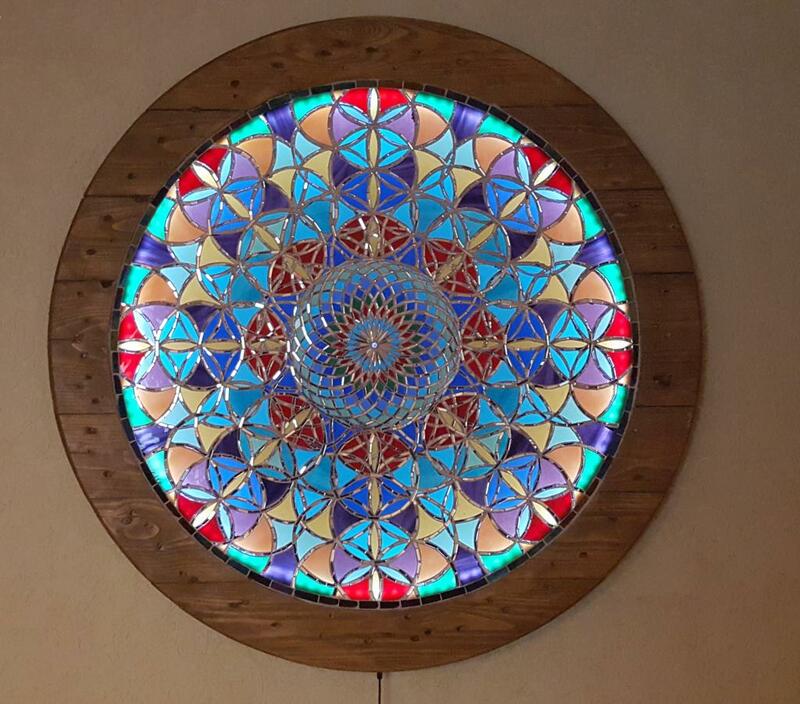 Around the edge are the 5 platonic solids, the merkabah. ank and other ancient symbols along with my own interpretation of opening lotus flowers. 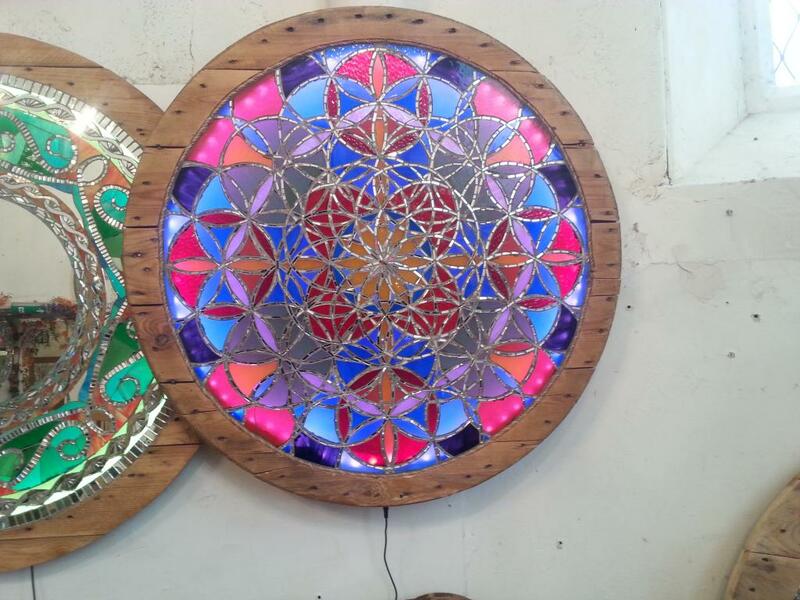 Flower of Life Illuminated Mosaic with recycled cable reel frame. 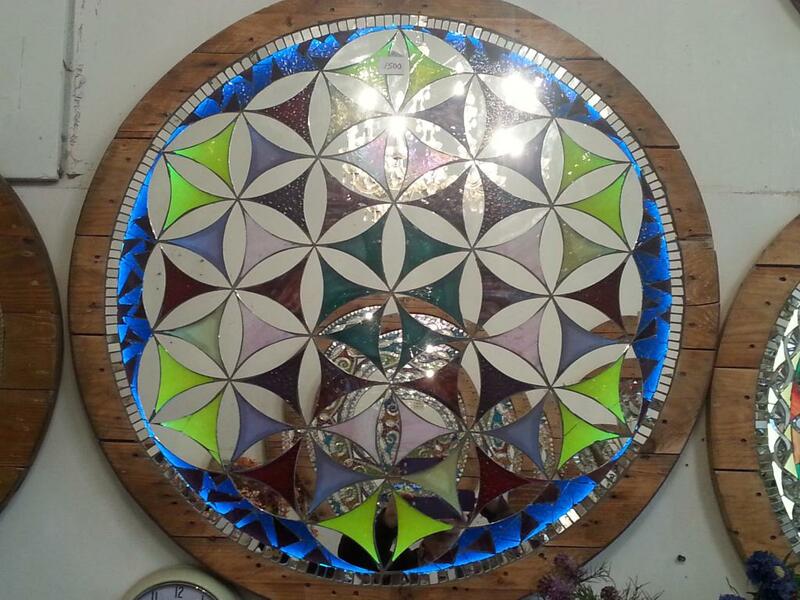 Illuminated mosaic inspired by The Flower of Life.